Ludhiana To Chandigarh Taxi. Book Online Ludhiana To Chandigarh Taxi or call 7814646464. We also provide one-way taxi from Ludhiana To Chandigarh. If you planned to go to Ludhiana to Chandigarh. Then Taxi is the most convenient way to travel. You can book Ludhiana to Chandigarh Taxi with Chandigarh Cabs with very easy way. 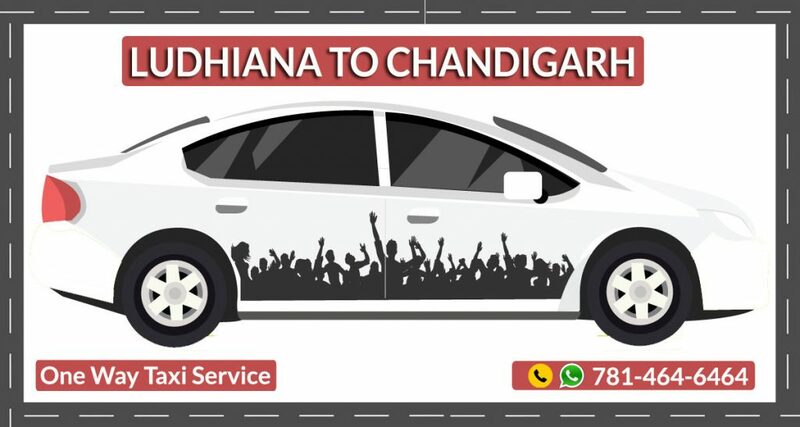 Traveling from Ludhiana to Chandigarh with ChandigarhCabs.in will not heavy on your pocket but will also a very comfortable journey. You can book Taxi from Ludhiana to Chandigarh, Mohali Airport, Kharar, Zirakpur, Panchkula, Derabassi with Chandigarh Cabs. Chandigarh Cabs provide very easy ways to book taxi from Ludhiana to Chandigarh taxi. You can book with a phone call on 7814646464, book also with live chat or by submitting inquiry form as well. Your journey from Ludhiana to Chandigarh should be memorable with our cabs. We ensure Ludhiana to Chandigarh taxi booking will be at very affordable rates with Chandigarh Cabs. Our service from Ludhiana to Chandigarh will be reliable and quality. Book Ludhiana to Chandigarh taxi with Chandigarh Cabs & enjoy your ride with family and friends. You can book our taxi service for Chandigarh Airport Drop. We provide best Ludhiana to Chandigarh Airport Taxi Service. You will choose the large range of taxi options which you will use while traveling from Ludhiana to Chandigarh. we will provide you all types of cars like from hatchback, sedan, SUV, Tempo Traveler and buses too. Customers can choose any type of car as per their need. Ludhiana to Chandigarh cab service will be comfortable, safe and memorable. The distance between Ludhiana to Chandigarh is approximate 103 KM and to cover this distance you will have to travel 2 hours. Your trip will be very memorable because there are many scenic views and roads are smooth. Booking taxi from local taxi service provider will be very costly and have a lot of hassle. Sometimes they also provide very poor service to their customers. With booking through Chandigarh Cabs you should get very affordable rates as well get good and professional service. Chandigarh Cabs will ensure you to provide best service in the industry with best taxi fare from Ludhiana to Chandigarh. To get the best fare from Ludhiana to Chandigarh taxi just call on 7814646464. You can get enquired on above number for any type of questions regarding your trip from Ludhiana to Chandigarh. Affordable Rates: We ensure that our taxi charges for Ludhiana to Chandigarh are very affordable. Ludhiana To Chandigarh Taxi. Pickup available from anywhere within Ludhiana, ISBT, Bust Stand, Railway Station.